UWA researchers are helping Australian sheep producers tackle the impact of high-oestrogen clovers. A FREE test service to determine the oestrogen content of sub clover pastures is being offered to southern Australian sheep producers keen to maximise their lamb production. Associate Professor Megan Ryan from The UWA Institute of Agriculture and UWA School of Agriculture and Environment said to allow prime lamb producers to return to their full potential there was an urgent need to raise awareness and tackle the issue of high-oestrogen subterranean clovers again. Associate professor Ryan said continued exposure to high-oestrogen clover cultivars could have serious and long-term impacts for grazing sheep. “The impacts can include temporary infertility and, if grazing occurs for prolonged periods of time, permanent infertility. “Unfortunately, the grazing of high oestrogen pastures can also cause an increase in ewe mortality, uterine prolapse, difficult births and post-natal lamb mortality,” Professor Ryan said. Older cultivars of subterranean clover sown up to the 1970s can contain high levels of the oestrogen formononetin in their green leaves. The issue was thought to have been largely resolved in Australia in the 1980s with the introduction of new clover cultivars selected for low oestrogenic compounds. However, in a recent national survey by UWA, the old subterranean clover cultivars were found to still be common in many pastures across southern Australia. An Australian Wool Innovation survey of more than 200 producer paddocks sampled over autumn and winter in 2014, across all four states of southern Australia, showed that while many pastures still had high clover composition, these often contained the older clover varieties e.g., Mt Barker, Seaton Park and Trikkala. Leaf identification of the sub clover seedlings in samples also showed these samples often contained or were dominated by the older high oestrogenic clover varieties such as Yarloop, Dwalganup, and Dinninup. 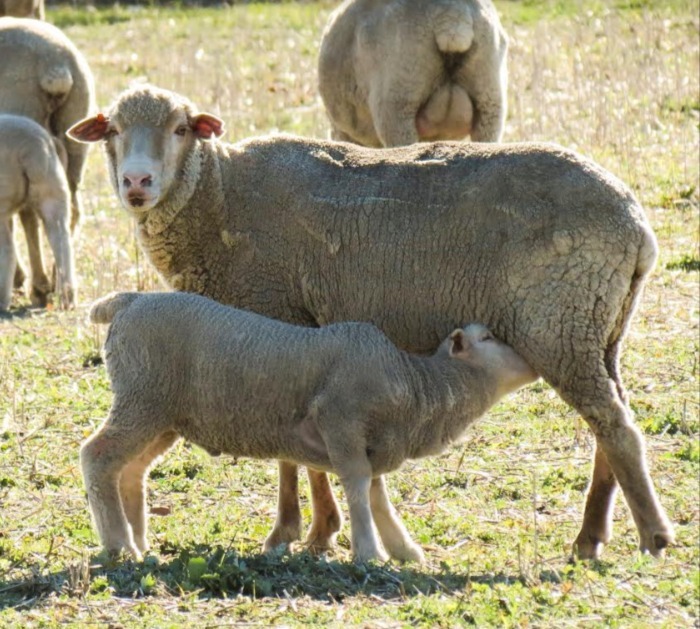 Professor Ryan said many sheep producers in Western Australia are not yet aware of the issue and may mistakenly associate poor reproductive performance of their sheep with other animal husbandry problems. A team of researchers at The University of Western Australia is working with farmers to tackle the issue which could have a devastating impact on Australian sheep producers. “To allow prime lamb producers to return to their full potential, we urgently need to raise awareness and tackle the issue of high-oestrogen subterranean clovers again,” Professor Ryan said. A free service will be offered to Australian farmers in 2019, through a research project led by Dr Kevin Foster from UWAs School of Agriculture and Environment and Institute of Agriculture, and jointly funded by UWA and the Meat & Livestock Australia Donor Company. The research team will map the occurrence of high-oestrogen subterranean clover cultivars, and provide advice to farmers on how to remedy this issue. “We will measure levels of oestrogens in green leaf samples and, when possible, identify the subterranean clover cultivars in samples submitted by farmers from across southern Australia,” Dr Foster said. To submit a sample of subterranean clover from your farm, contact Dr Foster on kevin.foster@uwa.edu.au to register your interest and provide a postal address. The free sample kits will be mailed out in mid-June and there will be a limited number available.